Cancun is a very festive city all year round. However, Semana Santa is a special season to visit it and discover the infinite possibilities offered by this place: from visiting ancient ruins, trying aquatic activities like swimming with dolphins in cancun, to living the well-known Caribbean party on its beaches, you can be sure that you won’t be bored at all! If you have booked your trip to be there during these days, it’s time to plan all the things you will do. Pack your bags and prepare for adventure! What can you do during Easter week in Cancun? 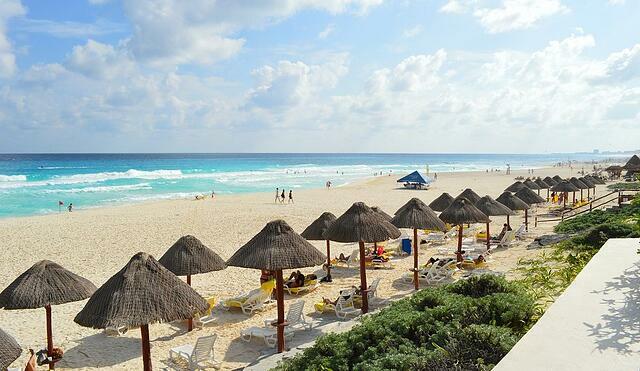 You must have seen the photos: there are no other beaches like Cancun beaches. If you want to party and be delighted by the different beaches in the area, keep reading! Start your journey on Delfines beach, one of the beaches that allows access to everyone in the hotel area; for that reason, it has an amazing atmosphere where warm locals and joyful tourists come together. Of course, you will find the famous blue tones of the sea and the typical white sand. However, if you want to know something different, go to Playa del Carmen, where you will find one of the most beautiful beaches in the world, but also some incredible ecologic parks like Xcaret, where you can swim with dolphins. 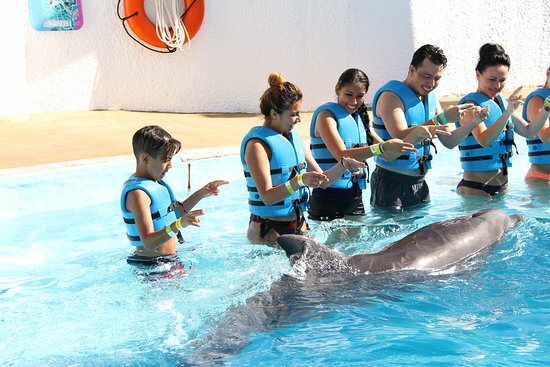 We suggest you get an all-inclusive package for Xcaret to enjoy this park to the fullest! Nevertheless, if you are a bit tired of partying all night long, you might want to take a break in Isla Mujeres. Located only 13 km away from Cancun, this amazing spot has crystal and warm beaches, dedicated to Ixchel, the ancient Mayan goddess of fertility, love and the moon. The mysticism and beauty of the beach will help you rest completely! Finally, don’t forget about the virgin beaches in the area, like Holbox or Puerto Morelos, the first one receives more tourists than the second one. Discover the multicolor nature and walk through the hidden paradises of the Mayan Riviera! 2. Travel to the past! Cancun is not only about beaches and the archeological area “El Rey” is proof of this. This site has 47 structures that were very important for the commercial life of ancient civilizations. It’s located in the hotel area, so you won’t need to move too far to visit it. Also, Tulum is a national park with archeological ruins that you must visit for a global experience in Quintana Roo. This place is a bit further than “El Rey”, but you will love this walled city from the Mayan Postclassic era. But if you still want to discover more about the ancient people in the Mayan Riviera, go to Chichén Itzá, which is part of the heritage of humanity and named one of the 7 new wonders of the modern world. You will need a whole day to do this activity, so bear that in mind when making plans. You might get enough contact with nature through beaches or swimming with dolphins in Cancun, but if you don’t, there are other activities waiting for you! Let’s begin with the Nichupté Lagoon, the ideal place for spotting crocodiles, iguanas and birds in their natural habitat. Also, you can see the mangroves, a community of trees and plants that exists in very few places in the world. You can’t miss them! One good alternative to explore barely known areas is a visit to the Underwater Museum of Art, where you will find a magical combination of art and nature in the marine world. Travel a bit further and you will reach Cozumel, that besides having wonderful beaches, has several natural attractions. If you go there, you must visit the Chankanaab National Park and the Faro Ceralain ecological reserve, because they will enchant you! However, you must remember that you don’t need leave Cancun to find a wide offer of aquatic activities and adventures, like swimming with dolphins or in underground rivers that connect the famous cenotes in the area. There are a lot of things to do in Cancun but what would you say about visiting an amazing aquarium? The Interactive Aquarium Cancun has facilities with a lot of technology, perfect for family visits. Discover more about the flora and fauna of the Mexican Caribbean and swim with dolphins in a very respectful and harmonious environment. Besides, it’s located in the commercial center Plaza La Isla, if you also fancy going shopping. Finally, if you are visiting Cancun during Semana Santa, you might want to presence the religious activities of this season. 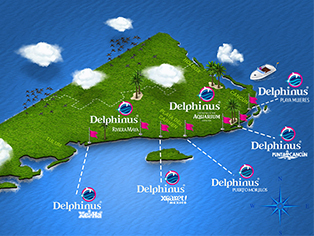 In Delfines Beach, you will see a representation of the viacrucis with more than 100 actors and around 5,000 spectators. It’s completely worth it! We hope that these tips help you fully enjoy Semana Santa in Cancun. Take the opportunity to discover new things and try some of the wonders of this Caribbean city, like swimming with dolphins!